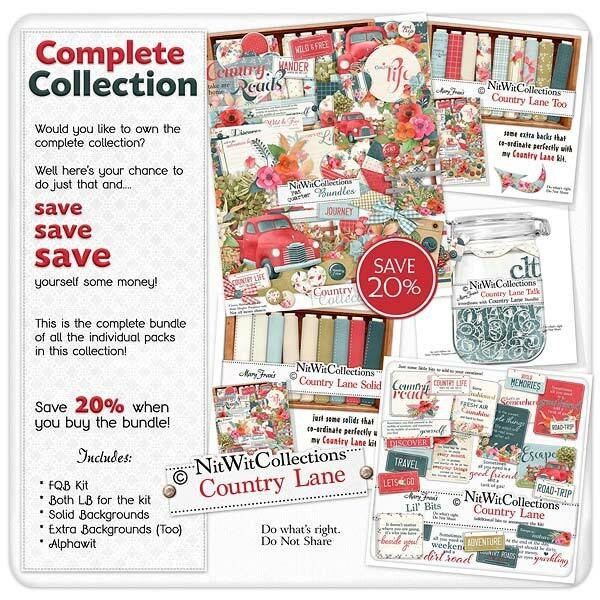 "Country Lane" Collection will take you on a journey down country roads or wherever your travel takes you! Wildflowers, an old vintage country truck and the feel of being in the country is at the heart of this digital kit! This Collection also has another vision to it and that is the floral elements and papers accompanied by beautifully designed journal cards, hearts and so much more that you will have to sit and make some decisions on which way you'd like to create your scrapbook layouts, cards and mini albums. Take this creative journey and breathe deeply....it is what life's memories are made of!